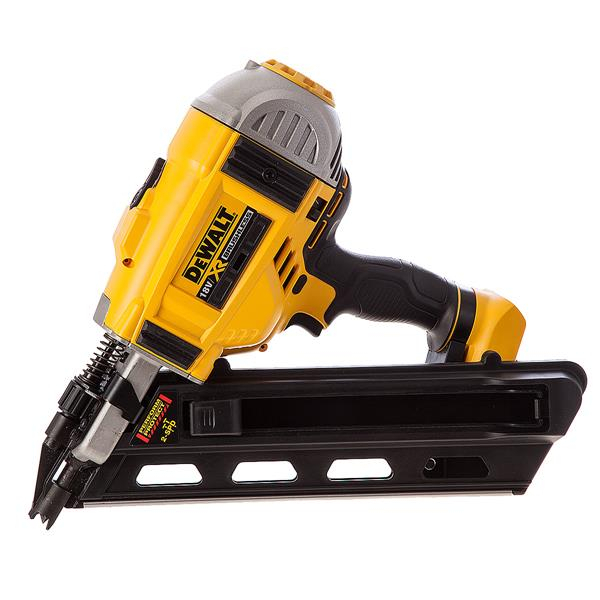 The DCN692N has a maximum magazine capacity of 55 nails and with its brushless motor can work for longer periods without requiring servicing. The DCN692N is a flexible tool as well, offering a 2-speed selector which helps to optimize the nailer for firing nails ranging from 50mm – 90mm into a variety of surfaces including softwood (up to 90mm) and hardwood (up to 63mm). Please note. This unit does not include batteries, a charger, or a case.